The Michigan Trucking Association’s Annual Safety Banquet was held on February 14 at the Lansing Lexington Hotel. Secretary of State Ruth Johnson was on hand to present the keynote speech. Among the honorees was Arden Swisher, Jr., who was awarded the prestigious title of 2012 Driver of the Year. Arden Swisher, Jr. has worked for Van’s Delivery Service, Inc. for over 13 years with 1.5 million safe driving miles. He has been a professional truck driver for 32 years, covering more than 3.5 million miles and earning numerous safety awards and certificates along the way. Arden is passionate about driving truck and seeing the country while doing so. He is a great goodwill ambassador for Van’s, and always strives to improve service. Arden and his wife Ada reside in Martin, Michigan. Van’s Delivery Service, Inc. Awarded MTA’s Fleet Safety AwardVan’s Delivery Service, Inc. was awarded a Fleet Safety Award at the Michigan Trucking Association’s 2012 Safety Awards Banquet held on February 14 in Lansing, MI. This is the fourth year in a row that Van’s has earned this recognition. The Fleet Safety Award is given to transportation companies who exhibit outstanding achievement in highway safety. 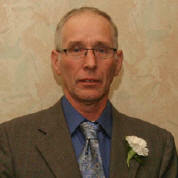 John Nieuwenhuis has earned the certification of Certified Transportation Broker (CTB). Out of 46 brokers that took the examination, only 24 passed, showing the rigorous nature of the test. Participants must earn at least five candidate points to be eligible to take the exam, which are based on professional experience and education. The participants must also have at least one year of experience working as a broker. Candidates may earn additional CTB eligibility points if they have completed formal education such as being granted a Bachelor’s or Master’s degree. More than 1500 participants have earned the much sought-after CTB designation. This program was developed by the Transportation Intermediaries Association (TIA) to increase the professionalism and integrity of property brokerage, meet the educational needs of brokers, and expand basic knowledge of the brokerage and transportation industry through a rigorous certification program. The CTB Program provides brokers with a wealth of information on business operations, transportation regulations, and brokerage practices. On February 15, several of Michigan’s best professional drivers and trucking personnel were honored at the Michigan Trucking Association’s Annual Safety Banquet. Secretary of State Ruth Johnson presented the awards as well as the keynote speech. Among the honorees was Sharon Conklin of Van’s Delivery Service, Inc. Sharon took home the award for 2011 Safety Professional of the Year. Sharon has been with Van’s Delivery Service, Inc. for over six years, and has served as President of the MTA Safety Management Council for two years. Judging of finalists was based upon professional qualifications of the nominee, success in advancing highway and industry safety, cooperation with regulatory authorities as well as work and leadership with the MTA Safety Management Council. Sharon’s employer, Van’s Delivery Service, Inc. was also awarded a Fleet Safety Award for the third year in a row. This award is given to transportation companies who exhibit outstanding achievement in highway safety. Jess has been driving for 38 years, including 19 years and over 2,000,000 miles of safe driving with Van’s Delivery Service, Inc. He works on an over-the-road account and is considered a goodwill ambassador to Van’s customers. Always willing to lend assistance, dispatch considers him one of Van’s finest drivers. Jess takes pride in his appearance and always comes to work looking neat, clean and prepared to work. He is a true professional of the transportation industry. Jess and his wife Linda reside in Wyoming, MI.